What is Inositol & 5-HTP? 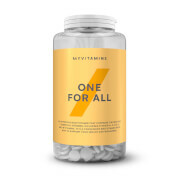 Taken regularly, this vitamin blend is a convenient way to support your sleep and energy levels with added Biotin to help metabolise energy and promote healthy hair, skin and nails. Why use Inositol & 5-HTP? 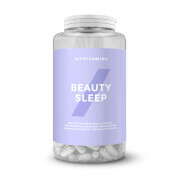 Sleep is important to our everyday health, so it’s important that we have a restful night; used by our body in the production of serotonin, both 5-HTP and Inositol are thought to promote good restfulness. They also help to regulate our mood so we can wake up on the right side of the bed. Our Inositol & 5-HTP blend then contains Vitamin B6 and Biotin to contribute to normal energy levels and lesser feelings of tiredness during the day. Inositol & 5-HTP can be a great addition to anyone’s supplement regime. myvitamins Inositol & 5-HTP tablets are ideal for people looking for a good night’s rest and an energy boost in the morning. Take 2 capsules around 30-40 minutes before sleep. After 4 weeks of continued use, we recommend taking a 2 week break before starting again. Do not exceed the recommended daily dose. Food supplements are not a substitute for a varied diet and healthy lifestyle. Store in a cool dry place. Keep out of reach of children. Not suitable for vegetarians. If you are pregnant, breastfeeding, taking any medications or under medical supervision, please consult a doctor or healthcare professional before use. Not intended for use by persons under the age of 18. 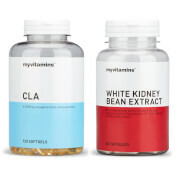 Glycine, Inositol, L-Theanine, 5-HTP, Magnesium Stearate (Anti-Caking Agent), Silicon Dioxide (Anti-Caking Agent), Vitamin B6, Zinc Citrate, Biotin. Hi i have been taking these for quite a while now and i must say i sleep much better and i have a bit more energy as well. will keep taking them for a good night sleep. I take these together with Beauty Sleep, and I sleep so well thanks to them. I have always been a light sleeper, and have a very stressful lifestyle, so I really needed these. Because I take them together with the other tablets, I don't really know which ones are the one putting me to sleep, but it works like a charm. I have never slept as deeply as I do now, and no hangover! I bought this to test as i knew i needed something to help keep my sleeping patterns .After reading that these 2 ingredients would help this i decided to commit. I've been taking Inositol & 5-HTP for nearly 1 year now . I started off using it with the sleeping app on my phone every time i took one so i could see the difference , i could see it gave me a lesser disturbed deeper sleep week by week and now i just take one an hour before bed. it always works for me worth a try for less than a tenner !